WISCONSIN SCHOOL OF RECOGNITION SIX CONSECUTIVE YEARS!!! We have started out the school year with many fun and exciting changes! I am delighted to share our new staff members with all of you in this newsletter. We have some wonderful new people that have joined our Jackson family and they are Ms. Abigail Ernest, 1st grade Teacher, Mrs. Diane Milanese, Speech and Language Pathologist, Ms. Kathryn Kelly, ECSE Teacher, Mrs. Kelly Splinter, Special Education Teacher, Ms. Amber Slaybaugh, Physical Therapist, Mrs. Jennifer Bynum, Title I Teacher, Ms. Kelly Hausknecht, Part Time Art Teacher, Mrs. Penny Hoeft, Paraprofessional, Mrs. Kelly Watson, Paraprofessional, Mrs. Kathleen Jacque, Paraprofessional, Ms. Pam Galvin, Paraprofessional, Ms. Kristin McDonald, Paraprofessional, and Ms. Sherry Kramer, Lunch Hostess Assistant. You will have an opportunity to meet all of these new staff members during our Parent Teacher Conferences on Wednesday, October 24th and Thursday, October 25th. We welcome all of you into our classrooms and school! I look forward to seeing you again. Parent Teacher Conferences are such an important opportunity for you to ask us questions and share important information about your child. We can learn from you! Thank you all for participating so willingly in our drop off and pick up routine at Jackson! We are striving for student safety in all decisions that we make. All drop off and pick up of Jackson students can be completed on Jackson Street. Drivers can drive south on Jackson Street and circle around in the loop at the end of the street. Children then can be dropped off on Jackson Street in the indented curb area next to Door 6. If your child is dropped off and must cross Jackson Street, please make sure that they are crossing the street at the corner of Jackson and Burbank where we have the crossing guards. I truly appreciate your help with this important safety routine. All bus traffic will be on Burbank Avenue in front of Jackson Elementary. We are asking families to not stop on Burbank Avenue for waiting, dropping off or picking up children. Thank you! For quick reference: Burbank Avenue=Bus Transportation, Jackson Street=Jackson student drop off and pick up. As the weather gets cooler, please make sure that your child wears warm clothing to school. Children will be going outdoors before school, at lunch and at recess time. Please write your child’s name on all clothing, hats and mittens. We will have a lost and found table at our Parent Teacher conferences for families to reunite with their missing and lost clothing. Have a wonderful October and November! Thank you for sharing your child(ren) with all of us at Jackson! Thank you for your patience as we adjust to having breakfast in our classrooms. Since we are having breakfast in our classroom, our students should not arrive at school before 8:00 am. We do not have supervision available for students' safety. You can drop off your children between 8:00 am and 8:15 am; classes start at 8:20 am and at that time every child will get a FREE breakfast. Here’s a tasty way to support our School! Stop by Janesville’s Court Avenue Culver’s restaurant on a “Scoopie Night” between 4 and 8 pm. On these special nights, Culver’s donates a percentage of that night’s sales to our school. You can count on Scoopie making an appearance! There will be no classes on Wednesday, October 24, Thursday, October 25 & Friday, October 26, due to parent teacher conferences. Also, do not forget to visit our Book Fair in the LMC. If you have any questions, feel free to contact us. Jackson Learning Commons Welcome Back! We started this year with STEAM (Science, Technology, Engineering, Art, and Mathematics) using Interland, a Google Based Curriculum, for grades 3-5. The students are learning about being Internet Smart and making safe choices both at home and at school. The K-2 students are also practicing making good choices by following directions and being on the app or site that they are assigned. Regular reminders for all of our students are critical in this digital world. All K students have iPads in their classrooms, and our 1-5 students have chromebooks with some iPads for other activities as well. Books: Please make sure your child returns his/her library book every week. We remind the students to take care of our school’s library books and keep them away from little brother’s and sister’s and the family pets. We are getting new books for the library and will be sharing those with the students soon. Many classrooms have students keep their books at school too. Lego League has also started at Jackson. We currently have 8 students making up our team from 4th and 5th grade. Ms. Smith and I are the coaches this year. Our first semiregional practice will be at Parker this year on Saturday, October 20th. Regionals will follow in November. (TBD) Upcoming News and events! The Scholastic Book Fair is coming to Jackson. The Book Fair will be open during conferences on October 24th and 25th. There will be more information sent home with your child. Jackson School is an amazing place for learning in the School District of Janesville! Our primary goal for children at Jackson is to love learning in a happy, encouraging, and safe environment. At Jackson School, we are committed to getting our students ready for college and careers. One of the ways we measure that learning is with the STAR assessments. Your child took these assessments between September 18th and October 2nd in the areas of Early Literacy/Reading and Math. The results will be shared with you at conferences. These results provide teachers with excellent information about your child’s growth as well as how we will meet their needs the remainder of this school year. Your child’s teacher and I are happy to answer any questions you have about your child’s results. 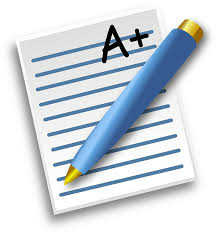 Your student in grades 4 and 5 brought home their Forward WI Assessment Results the first week of school. If you are new to Jackson, we will be receiving them soon from the previous district/school. We are so happy that your children attend Jackson! The Early Childhood class is having a great start to the school year! We are busy learning how to follow new classroom routines, take turns and share with friends. Don’t forget to send a change of clothes to keep at school because sometimes learning to do things independently can be messy! Remember to send a jacket or sweatshirt as the weather gets cooler because we try to play outside each day. We are off and running in first grade. We are quickly learning our word wall words and new reading strategies. We hope you are checking your child’s Tiger Folder for notes or skills we are working on. The first month of school we have been working on our classroom routines and the Jackson Tiger Truths. Our tiger truths include being Responsible, Respectful and Safe in All areas of school. A responsible first grader brings home their Tiger Folder each night, reviews their word wall words and reads at home for 10-15 minutes. They also might work on spelling or handwriting. Another sign of responsibility might be writing their numbers, counting by 1’s, 5’s or 10’s. Chapters 1 and 2 in our Math series is working on Addition and Subtraction Concepts. Ask if your child can share something they might have done at school and have them show you. All first graders will complete the STAR testing in September. We will share all your students’ growth and strengths in October at conferences. Please feel free to contact us at any time with questions or concerns. Thank you for working with your child on these skills. Together we will create strong readers, writers and awesome math scholars. We are enjoying getting to know your students in 2nd Grade and settling into our daily routines. We are also working very hard on learning our Tiger Truths of being respectful, responsible, and safe! By the end of September, we will have completed the first round of STAR testing in the areas of Early Literacy, Math, and Reading. We look forward to sharing the results with you at conferences in October. With reading and math being our core areas, we encourage you to read with your student every day and work on basic math facts. Please ask your child about the stories we have been reading in class and about other things they are learning about. We are working on addition and subtraction strategies, and place value in math. In science we will be studying the process of plant pollination and why it is important. In social studies we are learning about communities, the people who help us in our communities, and about the differences between rules and law and their consequences. We are looking forward to a working with you and your student this year and to a productive year full of learning! Jackson 3rd graders are settling nicely into the routine. For reading, language, and spelling we are following the Journeys Literacy program. During these first few months of school, students will be working on is on story structure (characters, setting etc. ), compare and contrast, and summarizing fiction and nonfiction passages. You can help by helping your child establish a nightly reading routine, filling in reading logs daily and asking questions about what your child has read. If you would like a sample list of questions, please contact your child's teacher. In math, we are reviewing place value, rounding to the nearest 10 or 100, and addition and subtraction through the thousands such as 386 + 215 and 752 – 134. By November, students should be able to solve such problems with and without regrouping ("borrowing"). We'll also be reviewing addition and subtraction basic facts and introducing basic multiplication facts. Please have your child practice addition and subtraction facts at home if they are not yet secure. In social studies, we are studying the three branches of American Government and science is devoted to the study of life cycles. We've really hit the ground running, if your child seems exhausted, it's because he or she has worked really hard in school. He or she may need a little extra sleep the first few weeks of school! Thank you for all you do to support your child. The fourth grade has had a great start to the year! The students have been busy being "scientists" and exploring the structures and functions of living things. We look forward to visiting the Janesville Schools Outdoor Lab Friday, November 3rd to further our study. In reading, we are currently studying about story structure and theme. In math, we are discussing place value and exploring the different ways of writing numbers. In social studies, we've been practicing with cardinal and intermediate directions. The students are excited to begin planning and writing a draft for our narrative story unit. Another year is well underway and the students in fifth grade have become accustomed to their new routines. Improving techniques in writing, new reading strategies and all sorts of different math ideas, are just a few of the activities that are going on in our classrooms. In science, the students are learning about how pollution can negatively impact organisms in an ecosystem. In reading we are working on new vocabulary and understanding the main idea by using context clues. Reading at home is always a good thing!! We are also developing the understanding that fifth graders at Jackson are expected to be the leaders for the entire school. From behavior in the hallway, to sportsmanship at recess, they are to lead by example for the students in the younger grades. The fifth graders will be doing a little traveling to begin the year. On Monday, October 22, we will be taking a field trip to the Milwaukee Public Museum which includes seeing a presentation at the planetarium. This is an annual trip because it supports the curriculum in social studies. In addition to visiting the I-Max theater, students will be able to see accurate depictions of Native American cultures that will reflect upon their Native American studies. Finally, the fifth-grade staff is looking forward to an excellent year. With continued support from the parents and a maximum effort from the students, we expect wonderful learning to take place. Keep checking those assignment notebooks and remain an active participant in your child’s learning. If there are any questions, don’t hesitate to call. As Title 1 teachers, we are excited to begin another school year. Both of us co-teach during reading in the classrooms, and work with small groups in reading or math. We have assisted in initial assessments to plan instruction and are excited to start working with all of our groups. It is great to see all of the returning students and new students. The new year is off to a great start! This year’s Jackson EL teaching team includes Ms. Marie Dries, Mrs. Rebekah Combs-Dement, and Ms. Wendy Demet. Ms. Marie Dries is currently in her sixth year of teaching. She grew up in Janesville and has taught in Indiana and Honduras. Mrs. Rebekah Combs-Dement comes from Beloit with thirteen years of experience teaching Spanish and ELL in Beloit, Janesville, Madison, and Perú, and is bilingual. Ms. Wendy Demet comes from Milwaukee with many years of experience in bilingual and ELL classrooms. Our EL paraprofessional is Mr. Jesus Cervantes, who is bilingual and here to help serve and support your child and family. We look forward to partnering with our ELL families to help our students grow and succeed throughout the school year! We encourage communication between home and school; please call 743-6519 (bilingual line) with questions or concerns and to report absences. EL Tip of the Month: Encourage your children to speak in their native language at home; knowing their first language gives them the foundation needed to learn English! Fall in love with MUSIC!!! Mrs. Riley looks forward to another great year of sharing the excitement of music! Exciting News! In music class, students have been introduced to a new, interactive music program called Quaver’s Marvelous World of Music. We will be using activities, songs, and videos from the Quaver music program as part of musical lessons on everything from theory and playing instruments to music history. 1st through 5th grade students have their own accounts on QuaverMusic.com and can access their accounts through Class Link. Kindergartners use the login: Quaver name: kinder1 Password: 123456. On this kid-friendly website, they can compose their own original music with cutting-edge creatives, compete in Mini-Games, contests and challenges. QuaverMusic.com is FREE to students, parents, teachers, and little brothers and sisters too! We are very excited to offer this resource to our classes this year! Our year will be filled with many music classroom activities: Exploring Expression, Rhythm, Form, Melody, Timbre, Texture and Harmony. Singing, playing instruments, reading music, composing, performing, and using movement. Kindergarten, First and Second Grade students have been busy working on Steady Beat and Reading Rhythms in music. Next, they will focus on High & Low and Fast & Slow: then, they will be composing their own rhythmic song. Third, Fourth and Fifth Grade students have already begun reading music and are learning many new terms and symbols in music classes. Did you know that many of those terms are in Italian? It has been a great start to the year! Hopefully your children sing songs at home or talk about some of our musical activities from class. Thank you for your support of music education for your son or daughter! 2nd & 3rd grade: 10:30 a.m.
4th & 5th grade: 9:00 a.m. Welcome back to all of our amazing artists! We hope you had some time to make art and use your imaginations over the summer! We would like to welcome Ms. Hausknecht to Jackson’s art staff! She teaches Mrs. Balch’s students at Jackson Elementary School this year. We can’t wait to see the fun things she has in store for you! This year at Jackson all kindergarten and 1st grade students have art two time a week for 45 minutes. All students in 2nd through 5th grade have art once a week for 90 minutes. During art time, it is our goal as art teachers to help students develop creative thinking skills while learning about famous artists, many art supplies and the ways to use them to create art. We also help students learn about art and technology. We are very fortunate to have IPads to use in the art room this year! We will teach your students many ways to use them while making art this year! Please feel free to contact Mrs. Ward and Ms. Hausknecht any time if you have questions or want to know more about what your child is learning in art! You can reach us at 743-6520 or email us. Mrs. Ward’s email is cward@janesville.k12.wi.us. Ms. Hausknecht’s email: kelly.hausknecht@janesville.k12.wi.us. We look forward to having a wonderful year of learning and art exploration together with your students! We are back to our routine and have met with old friends and met new ones for the 2018-19 school year. Students have been working hard at their soccer skills and enjoyed our limited time outside in this years’ weather. October brings us indoors to talk and learn about the heart and how to make it stronger. One great tool we us at Jackson is the Heart Adventure course. It is an aerobic obstacle course that simulates the movement of blood though the heart to help children understand its function and importance to healthy living. After learning about the heart students will be participating in some cooperative games to build skills good working relationships with peers. November brings us to one of my personal favorites, Hockey. Student will not need skates, sticks or pads, we will be enjoying the sport of gym hockey, complete with friendly games. All students need to enjoy these great activities are a pair of gym shoes. It works best if they have a pair here at school, then they will not forget them. Keep on moving! The Talented and Gifted Advocates for Jackson School welcome you back to another great year! Mrs. Dement will be the advocate for students in grades 3-5. We look forward to providing your students with enrichment opportunities to enhance their learning. Please remember that all enrichment opportunities are presented to students as optional not required. It is always your student’s responsibility to make the decision to try the extra work. We will use the scores from the STAR testing that students in K5 are currently taking to identify potential new students. We look forward to a great year with your students! Plan The purpose for Positive Behavioral Instructional Supports (PBIS) is to create a learning environment that focuses not only on academic achievement but also fosters social and emotional growth. We feel that social emotional learning is equally as important as academic learning. We believe that relationships among students, staff and the community are essential to the learning process. Our ultimate goal is to meet the needs of ALL students and provide the most enriching, positive educational experience possible. The school-wide approach to behavior management outlined below focuses on building a safe and positive environment in which all students can learn. The foundation of PBIS at Jackson is the three building-wide expectations which are called our Tiger Truths: -Be Respectful, -Be Responsible, -Be Safe. We will be having monthly assemblies to teach and reinforce these building wide expectations along with developing the individual core values/character traits of Cooperation, Self-Control, Caring, Perseverance, Honesty, Appreciation and Friendship. This will be accomplished through the behavior management system outlined below. Emphasizing a monthly core value/character trait school wide is a highly successful way for student to acquire and develop skills that will be used throughout their lives. When everyone at school is consistently reinforcing and modeling the same behavior, students are much more likely to remember and demonstrate the skill on a daily basis. All classrooms at Jackson will use a 4-tier ladder system for behavior management. Children move up a level at a time for making good choices and down the chart when making negative choices. This helps the children realize that they do have self-control and are responsible for their actions and behaviors. It is in their control whether they are recognized for making good choices. The ladder moves to all of the special area classes when they go so they have opportunities all over the school to make great choices. At Jackson, we also reward those children who are doing a great job at following the Tiger Truths by rewarding them with yellow Tiger Ticket. The children then put their names on the ticket and the ticket goes in the classroom bucket. At the beginning of every week, the PBIS team picks a ticket each week from each classroom for a special prize. Each class also has a chance to earn a Purple Tiger Ticket. For example, if another teacher sees a class walking very quietly down the hall, they can give that class a purple ticket or if they are really good at lining up at recess. After a certain amount, the class as a whole will earn a reward. Each classroom is different with the amount of purple Tiger Tickets that are required, but some of the rewards are Pajama Day, Extra Recess, extra IPad time, etc. At home, you can foster these positive behaviors that are expected at school by talking about the positive things that happened at school and ask about how they use their Tiger Truths. We are lucky here at Jackson that all of the students use their Tiger Truths on a daily basis and are great role models for each other. So, thank you to you, parents, for sharing your amazing children with us. We really are the lucky ones! 1st grade Teacher I have been teaching in Illinois for the past 4 years. I am SO excited to be a First Grade Teacher at Jackson Elementary this year!! My favorite color is pink! When I am not teaching, I love to spend time with my fiance, my adorable puppy, Milli, and my beautiful twin nieces. Speech and Language Pathologist I want you all to know that you always should be nice to everyone of your classmates! I recently married my classmate 36 years after we graduated from high school. I am new to Wisconsin after moving here from Kansas. I enjoy gardening, raising Monarchs and releasing them, and doing yoga. Special Education Teacher I am so excited to be part of Jackson Elementary! I spent 22 years at Edison Middle School, working with students in 6th through 8th grade. Teaching is my passion, and I am looking forward to working with elementary-aged students and making a difference in their lives. When I am not at school, I spend the majority of my time with my husband, Dale, and five children. I graduated high school from Deerfield, WI and received a bachelor’s degree in special education and a master’s degree in curriculum and instruction from UW-Whitewater. Title I Teacher I am thrilled to be starting my first year at Jackson as a Title 1 teacher. I taught for 13 years in 2nd through fourth grade classrooms at Lincoln and Adams. Teaching is my passion. I not only teach to the mind, but I teach to the heart as well. I want each learner to feel they are welcome and appreciated. I enjoy spending time with my husband, reading with my toddler, and traveling. I look forward to working in partnership to make 2018-19 a success! Paraprofessional I am a Paraprofessional for Kindergarten. I love working with children, getting to know them and see how they grow, and achieve their goals. I am married and have 3 daughters, two sons, and live on a small farmette outside of Janesville. I love being here at Jackson School. I feel comfortable, welcomed, and part of the Jackson family. LMC-Paraprofessional I am a new paraprofessional in the LMC and very excited to be a part of the Jackson School family. Experiences before Jackson School include: Healthcare, Staples Warehouse, 12 years as a licensed in-home Daycare Provider, and a Girl Scout leader. Outside of work, I enjoy the outdoors, gardening, camping, and spending time with my grown son and daughter, family, and friends. Jacque P4J-Paraprofessional I am the new P4J paraprofessional. I'm so excited to start my new journey here with you! I have worked in the district for 15 years as a Special Education Aide at Washington Elementary. I'm married to Brian and we have 2 sons. We also have 2 dogs: an old English Mastiff and 3 mo. old St. Bernard. Paraprofessional Hey Jackson Tigers! This is my first year at Jackson and I couldn’t be more excited! I am a Special Ed Para. I am the proud mama of three great teenagers. We are a musical family. I get to cheer my kids on in Jazz performances/competitions, girls’ basketball and boys LAX. I love listening to all kinds of music and singing. Paraprofessional I am a new paraprofessional working in special education. I am beyond excited to be here! My favorite color is yellow. I am a mother of twin boys who are in P4J. I enjoy watching my sons at dance class, drinking a good cup of coffee, the outdoors, and family time. Must bring proof of residency Distribution 10/27 Kids must be present to receive coat! Christmas Sign Up: October 29 to December 14 for Toy sign up at ECHO. Must bring current utility bill, photo ID, and proof of income Toy Distribution will be held on December 19th at St. John’s Lutheran Church, 302 N. Parker Dr.
Dear Parents /Guardians and Families, We welcome in this winter weather in December and January. As the weather cools and snow flies, please have your children remember to wear their winter coats, hats, mittens, snow pants, and boots. We will follow the School District of Janesville winter recess policy and be outside for recess unless the temperature is 0 degrees or less, so dressing warm is important. I look forward to seeing many of you on Friday, December 7th for our music programs. This year all of our students will have their sing on the same day. The 4th and 5th grade winter sing is at 9:00am. The 2nd and 3rd grade sing is at 10:30am. The 1st grade winter sing is at 1:00pm. Our kindergarten winter sing is at 2:15pm. Mrs. Riley and the students have been working and practicing to prepare these special programs. As you receive updated phone and address information, updated emergency contact information and updated email addresses, please make sure that you share that information with our office. We appreciate you keeping us informed in case of emergencies. Thank you for communicating with us. Congratulations to our Kwik Trip Gas Card winners! The winners are Kyle and Tanya Adamski and Jennifer Salzman. Thank you for completing our Parent Survey for Jackson Elementary School. You may come to the office to pick up your Kwik Trip card. Just a reminder that our Winter Break begins on Monday, December 24th and students return back to school on Wednesday, January 2nd, 2019. I hope that each and every one of you have a relaxing and joyous holiday season! The Jackson Tiger Tech Lego team did a fantastic job at Regionals, November 3rd, at Parker High School. They won the Inspiration Award and scored 79 points on the Lego Competition Board and received 4 nominations in other areas. 9 out of 27 teams are moving onto Sectionals, and Jackson is one of them! Sectionals will be December 16th in Watertown! Great job Jackson Tiger Tech! Good luck at Sectionals. The Jackson Scholastic Book Fair was a success. Thank you to all of the families that visited the Book Fair. We sold $2,389.00. From the book fair I am able to receive $900 in Scholastic Dollars only. This means that we will be able to purchase items from the Scholastic Dollars Magazine for the library. I ordered five 3D Pens and filament! STEAM is in full force. Students used Breakout EDU kits to solve problems and to find books in the library. Our Dash robots were used by our 3-5th grade students to participate in “The Amazing Race” an activity to research and program Dash robots while learning about our 7 Continents. Jackson Tiger Tech participated in their 2nd Regional Competition at Parker High School Saturday, November 3rd. Lego League is not just programming robots and building with Legos. It has three parts: The Robot Game, the project, and the Core Values. This year’s theme was Into Orbit. The team had to build and set up a Lego board, program the robot to complete missions following rules and trying to earn points for each mission. They also had to research a real problem that Astronauts face and then come up with a solution. After researching the problem, the students discovered that astronauts are at risk of losing bone density and the longer they are in space the more bone density they lose putting them at risk of bone fractures. The solution that they came up with was to make a lollipop that would be rich in vitamin D and calcium that the astronauts could have up in space. The students are also responsible for demonstrating and using core values, like our schools Tiger Truths. Greetings, wonderful learning has taken place this first trimester at Jackson School! Thank you for making sure your child comes to school well rested and ready to learn. Winter break is almost here! It is good to continue some school routines during break. Having conversations, reading, and playing games with your child will help to grow their skills. Your child can practice their math facts (addition/subtraction or multiplication/division) over winter break by using flash cards, answering your fact questions, or by using paper and pencil. At conferences, your child’s STAR Reading and Math assessment results were shared. Your student will be taking these assessments again in January. This assessment will provide teachers with information about your child’s growth and help us meet their needs for the remainder of the school year. Results will be shared shortly after the assessments are completed. Your child’s teacher and I are happy to answer any questions you have about your child’s results. The Early Childhood class has been working on learning the names of our new friends who have joined us in the last month. We continue to work on social skills such as waiting, turn taking, and cleaning up when we are finished with a toy. The students have excitedly participated in a variety of fine motor activities that explore using paint brushes, stickers, dot markers, and crayons. Our students continue working hard on letter/sound recognition and writing the letters of the alphabet. Our focus is on naming and writing the letters in our first name. The children are also working on counting skills and recognizing the numbers 1-5. In December, we will be studying the Five Senses and Christmas Traditions. We will be learning about winter in January. We are also working on getting dressed for outside independently, including putting boots on, zipping our coats and putting gloves or mittens on. Our class had 100% turn out for conferences! Thank-you so much for attending these important opportunities to discuss questions and concerns about your child. Kindergarteners have been busy practicing their songs for the Winter Sing which will be held on Friday, December 7th at 2:15pm. Please mark your calendar for this special program. It is important for children to see family in the audience. Our students are doing a nice job learning good school behavior in the classroom, hallways, lunchroom, recess, and special area classes. We have been stressing these good behaviors called Tiger Truths daily and it has really paid off. Report cards will be sent home at the beginning of the month. Continue working on counting to 100 by 1s, 5s, and 10s. When playing with objects at home encourage your student to construct sets up to 20. For example, can you give me 20 Legos or 20 cheerios. Please continue to read the paper books daily that are sent home with your student. Please also practice the sight words daily through the paper books, the flashcards, or the QR codes. During trimester 2 we will be teaching physical science through force and motion. It is exciting to see the children making steady progress! As winter approaches, please remember to dress your child appropriately for the weather. Please work with them at home on how to put on their winter gear. Once there is snow the students are required to have their 5 things to play in the snow. These 5 things are: snow boots, hat/hood, mittens, snow pants, and coat. We go outside for recess twice daily unless the real feel temperature is below 1 degree. Our month of December starts off with an exciting holiday sing! First graders perform at 1:00pm on Friday, December 7th. The following Monday (December 10th), First grade will travel to Beloit Memorial Hospital for our first field trip! Students will have a hands-on experience learning about health and safety. Students will continue to expand on spelling, vocabulary and reading skills. You can help with your child’s progress by reading together for 15-20 minutes nightly. We also continue to increase math skills. Our second trimester lessons include: measurement, time to the quarter hour, basic math facts to 20, place value, greater than and less than, and number stories. (Second trimester ends February 28th, 2019. Conferences will be held March 6th and March 7th.) Thank you again for all your support from home! Please contact us at school with any questions or concerns. We hope you have a safe and happy 2019! We can hardly believe we are already into the 2nd trimester of school. The students have been working really hard and learning many new things. We continue to study hard in the areas of reading and math. During Trimester 2, we will be working on place value to 1,000, adding and subtracting three-digit numbers and money in math. In reading we will continue to learn about story elements such as characters, setting, plot, and problems and solutions. Please read with your students every night and work on those math facts. In social studies we will be studying traditions, core values and different types of communities (rural, urban, and suburban). In science, we will be learning about the states of matter. This trimester your students will be taking the Co-gat test (December) and the second round of the STAR test in (Jan.-Feb.). With the winter season in full swing, we ask that you remember to send your students dressed for the weather. Make sure they have warm coats, hats, gloves, boots and snow pants so they can enjoy the snow and cold at recess time. Reminder: The second and third grade winter sing is December 7 at 10:30. Jackson 3rd graders have made some amazing progress so far this year. We are very proud of them. During the second trimester, December through February, 3rd graders will be learning all about economics. In science, we will be focusing on engineering as we learn about, experiment with, and create simple machines. We will continue to boost reading and math skills as we practice for the Wisconsin Forward assessment to be given in the spring. You can help by having your students read for 30 minutes each night and by helping them establish a regular homework routine. Also, please have students practice their basic addition, subtraction, and multiplication facts each night to improve speed of recall. Finally, don’t forget to dress your child for the weather. Second trimester promises to be an adventure in learning! The fourth grade has been busily working on many exciting units and projects! Currently in reading, we are studying about author's purpose and comparing and contrasting. In math, the students have jumped into multiplication and are finding many ways to solve problems. Science class has been very exciting for us as we are studying the structures and functions of living things. We recently explored what nature has to offer at the Janesville Schools Outdoor Lab and connected our learning with the real world. In social studies, we've been discussing Wisconsin geography and history. In language arts, the students are excited to begin planning and writing a draft for an opinion essay. The fifth graders at Jackson are into the swing of things as we move into the second trimester. We are getting better at being prepared as we switch classrooms and that will benefit them when they move into middle school. 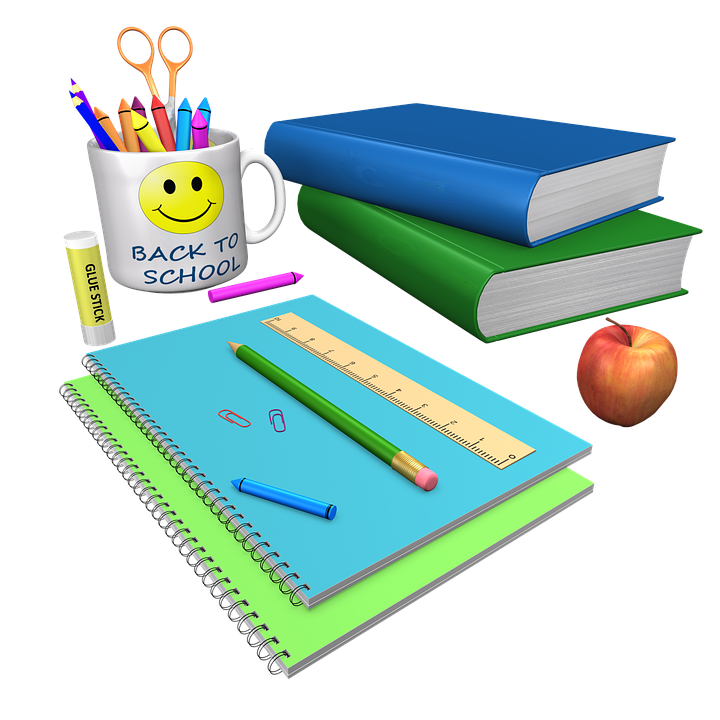 As always, we encourage parents to look at the assignment notebook each night to see if their child has homework, and that they are completing their assignments. Our trip to Milwaukee was excellent. Some of the things we learned about were the Native Americans from around the world, the history of Wisconsin, and the different kinds of animals that live and once lived on all of the continents. We were also able to go to the planetarium. The teachers, chaperones, and children really enjoyed their day. Mrs. Vazquez’s reading classes are putting an emphasis on reading for fun by choosing books that they enjoy and being consistent readers. They are also working with Ready Reading which is a rigorous standards based program that builds strong, independent readers. The science classes in Mrs. Vazquez’s room are working Engineering is Elementary. This program integrates engineering with elementary science projects. Mr. Ries’ math classes have completed a unit on finding perimeter, area, and volume. We will also take another look at long division. Once again, we need to know those multiplication facts to be successful in division. Our social studies classes are getting to learn how early colonial people settled America and this will be taking us into the Revolutionary War. Again, we encourage all parents to be active in their child’s learning. The fifth-grade staff would like to wish all of you a safe and happy holiday season. This is an exciting time of year for Title I. We are coteaching in classrooms during Reading and working with small groups in the afternoon. It is wonderful to see students improve in reading. We are currently helping give the Fountas and Pinnell Benchmark Assessment Test and soon we will help with the STAR test. We are looking forward to a wonderful second half of the school year. Greetings from the Jackson English Language Department! After the winter break, we will begin the annual required ACCESS 2.0 tests of English language proficiency. All EL students will be tested on their listening, speaking, reading and writing skills. We will start with the Kindergarteners, who will be tested individually by the EL teachers. After that, EL students in Grades 1-5 will take the listening, speaking and reading portions of the ACCESS 2.0 test on the computer. EL students in Grades 1-2 will complete the writing portion of the test in paper booklets, while the EL students in Grades 3, 4 and 5 will compose and type their essays on the computer. We know that our Jackson EL students will do a fabulous job on the ACCESS tests! As we enjoy the holiday breaks, please take time to read with your student(s). This is a great time of the year for family togetherness, fun, and informal learning! Students are well on their way to making amazing art at Jackson School! We are using technology in art class this year. Here are just a few ways we are focusing on technology and art. Students in 4th and 5th grade they are using their Chromebooks to learn about famous artists on Google Classroom. Students in 1st and 2nd grade have been using IPads to improve their drawing skills. They have access to a variety of how to draw videos and can choose what interests them. They are engaged and empowered learners! Chromebooks to create our art portfolios. That’s your art room update! Please feel free to contact Mrs. Ward and Ms. Hausknecht any time if you have questions or want to know more about what your child is learning in art! You can reach us at 743-6520 or email us. Mrs. Ward’s email is cward@janesville.k12.wi.us. and Ms. Hausknecht’s email is kelly.hausknecht@janesville.k12.wi.us. The weather outside is turning colder, however the action in the gym is still hot. December brings an end to our floor hockey unit and we begin to focus our attention to the ceiling. Students will be playing a variety of games to develop their volleyball skills. Be sure that your favorite student does not miss out on the fun, because they forgot their shoes. As boot weather approaches, this is a good time to check that gym shoes are in the locker ready for the tasks of the day. After volleyball we will be returning to the floor for a tumbling and gymnastic unit. Student will be learning many ways to move on the mats including balances along with traditional tumbling moves. Our older students will be creating routines to show to each other their best work. We will be using the I-pad to assist your student in developing their skills. Stay tuned for more of the action in January. The seasons are changing, that means one more layer of clothes can keep you warm as you go for that family walk. The Tag advocates have been busy continuing to support teachers in the classrooms with students who need an extra challenge. We would like to remind you that when students are given an extra challenge they must complete their regular classroom work prior to trying the challenge and that it is always the student’s choice if they participate in the additional activities. As a school, we have a half hour each day that is skill based on the STAR testing. This is a perfect opportunity for some extra enrichment at their level. The second-grade students will be taking the Cogat Screener in December. More information will come home on this ability screener as the date approaches. We encourage you to talk to your student about always working to their full potential and accepting additional challenges if presented. We as a school are working hard right now to prepare students for the midyear assessment of the STAR Test that we will take in January. All levels and instruction will be realigned after this assessment. The first trimester of this school year has been a BLAST and Mrs. Bush and myself have had so much fun being in your child’s class for guidance. Our guidance lessons for first trimester in grades Kindergarten through 5th grade was focused on the social and emotional aspect of working together, identifying feelings and anti-bullying. For second trimester, we will be focusing on differences, personal safety and problem solving. A huge part of what kids learn when they’re growing up and in school is social and emotional development. By teaching these skills to all of our students, we will help them understand that it is important to know how to feel, how to respond and how to work together to solve conflicts in and out of school. All students have been working very hard on preparing their songs for our Winter Sings. Please join us on December 7th for our Student Performances. Please mark your calendars with the following times. Thank you for supporting music education for all children at Jackson School. We look forward to seeing you at the Winter Sings! It’s a season of bells! Listen to the jingles! "From the Inside Out", a song that says that who we are and what we'll become comes from our inside out, NOT from outside in. "Responsible" teaches students that character is a choice because we are ALL able to respond. That's what makes us "Response - ABLE!" "My Personal Code" teaches students to create and use their own personal code or a "recipe" to decide how they react in a situation. "It Starts With Me" teaches that to be a part of the solution to problems we have in the world, we have to start making better choices starting with ourselves first. If we share the lessons we learn with others and they share them, too, the world will be a better place. This dazzling choral medley is a nostalgic tip of the hat to the great songwriters and artists that brought America’s music to the entire world. This show features the most memorable tunes of pop history. Get ready to celebrate a tribute to the past. Encore! Kids must be present to receive coat! for Toy sign up at ECHO. Toy Distribution will be held on December 19th at St.
Others, including parents, who reasonably believe a child is a child with a disability may also refer the child, including a homeless child, to the school district in which the child resides. Referrals must be in writing and include the reason why the person believes the child is a child with a disability. A referral may be made by contacting Ms. Kimberli Peerenboom, Director of Pupil Services, School District of Janesville, at 608-743-5061, or by writing her at 527 S. Franklin Street, Janesville, WI, 53548. District for incoming Kindergarten students will be notified of approval or non-approval after they have enrolled their child during the Kindergarten Enrollment period with the New Student Enrollment Office. If you have questions, please contact the school office of your home school attendance area. If during the school year, you move outside the School District of Janesville and you wish to remain at your current school please contact the Open Enrollment Specialist at 743-5152 and request a tuition waiver form within two weeks of your move. This will allow you to be eligible to attend your current school for the remainder of the current year tuition free. To continue attending the School District of Janesville after the 2018-2019 school year, you will also need to complete an open enrollment application. Application instructions are provided to the School District of Janesville by the Department of Public Instruction (DPI) and should be available by late January 2019. This year applications will be accepted February 4 – April 30, 2019. If you have questions regarding Open Enrollment or Public-School Choice, please contact the Open Enrollment Specialist at 743-5152. The State of Wisconsin has announced the application period for open enrollment (also known as public school choice) begins in February for the following school year. Open Enrollment laws permit children to attend a public school in a school district other than the one in which they live. The open enrollment application period for the 2019-2020 school year is from February 4, 2019 – April 30, 2019. Parents are encouraged to apply on-line at dpi.wi.gov/open-enrollment. Although on-line application is recommended, paper applications may be obtained from the Department of Public Instruction or any school district after February 4, 2019 and must be delivered (hand-delivery is recommended) to the nonresident school district during the application period. Under School District of Janesville board policy, students who attended the district under open enrollment the previous year are not required to reapply for the following school year. An application is required for each sibling in the family. For example, if a family has one child in elementary school that has been approved for open enrollment and a new student entering kindergarten next year, the student entering kindergarten must apply for open enrollment in order to attend the School District of Janesville. Parents will be informed in June whether their open enrollment applications have been approved or denied. The student’s school or program placement will be provided in June. If you have questions, please contact the Open Enrollment Specialist at 743-5152. If you have a child turning 5 (five) years old prior to September 1, 2019 and they are not currently enrolled in a School District of Janesville Pre-school for Janesville (P4J) or Early Childhood (EC) program it is time to enroll in the Janesville Public School District. Enrollment will take place at the Educational Services Center located at 527 S. Franklin St. (administration building) in the New Student Enrollment office. You may enroll anytime during the two-week period. If you cannot attend the enrollment period please come in as soon as possible to enroll after December 14, 2018. Enrollment in the district is required for participation in orientation. When you enroll, you will need your child’s birth certificate for proof of age, proof of residency (top portion of a utility bill, or current lease) to determine school assignment, immunization records and photo identification. If you have questions on general enrollment, please contact the New Student Enrollment office at 743-5072 or 743-5153 during regular office hours, 8:00 a.m. – 5:00 p.m. Requests for School Transfer/Placement within the School District (yellow forms) for incoming kindergarten students should be submitted through the enrollment process. Forms are available at all schools, as well as at the Educational Services Center. If you have questions regarding this process contact Deen Hartley at 743-5152. The status of requests will be determined by January 15, 2019 if they are turned in by December 14th. If you have a student currently attending a school under a School Transfer/Placement within the School District, it does not automatically qualify your kindergarten student for attendance at the same school; however, siblings are generally assigned to the same school. In order for your kindergarten student to attend the same school as a sibling, you must submit a request during the Kindergarten Enrollment time frame. If you know of a child in your neighborhood or from community activities that would be entering kindergarten for the 2019-2020 school year, please pass this enrollment information on. If you will be moving from your current home address, please contact Jackson Elementary School office at 608-743-6506 as soon as possible to determine what paperwork you will need to fill out for your child to continue attending his/her current school. Please note: if you are moving to an address outside the School District of Janesville in most cases your child is eligible to continue attending the School District of Janesville as long as you complete the appropriate paperwork within the required timeline. If you have any questions about school placement for a particular address please contact Open Enrollment Specialist Deen Hartley at 743-5152. The New Student Enrollment Office is open year-round. If you are the parent of an elementary student and will be moving over the summer months when the elementary schools are closed, please contact Open Enrollment Specialist Deen Hartley at 743-5152 or the New Student Enrollment Office at 743-5072 or 743-5153 to complete the appropriate paperwork. As a school with a low-income rate of 88.69%, Jackson School receives federal Title I funds to support the learning of all students through a Schoolwide Title I Program. Schoolwide programs serve all children in a school. All staff, resources, and classes are part of the overall schoolwide program. The purpose is to ensure all students, including those most in need, are positioned to meet the state's challenging academic standards. Schoolwide Title I schools annually complete a needs assessment to identify the school’s strengths and areas for improvement in student achievement, develop strategies and actions steps to address how the goals identified will be achieved, and evaluates and updates the plan as needed. Schoolwide Title I schools are required to engage parents and families in the Title I planning and evaluation process as well as provide opportunities for parents and families to engage in supporting their child’s education. Copies of the Schoolwide Title I Plan and the Title I Parent and Family Engagement Policy are available upon request. Please contact the school secretary at 608-743-6506 or tberlin@janesville.k12.wi.us to request a copy. The school district gathers personally identifiable information on any child who participates in child find activities. Parents, teachers, and other professionals provide information to the school related to the child’s academic performance, behavior, and health. This information is used to determine whether the child needs special education services. Personally, identifiable information directly related to a child and maintained by the school is a pupil record. Pupil records include records maintained in any way including, but not limited to, computer storage media, video and audiotape, film, microfilm, and microfiche. Records maintained for personal use by a teacher and not available to others and records available only to persons involved in the psychological treatment of a child are not pupil records. • The right to inspect and review the student's education records within 45 days of receipt of the request. Parents or eligible students should submit to the school principal [or appropriate school official] a written request that identifies the records(s) they wish to inspect. The principal will make arrangements for access and notify the parent or eligible student of the time and place where the records may be inspected. The school district will comply with the request without unnecessary delay and before any meeting about an individualized education program, or any due process hearing, and in no case more than 45 days after the request has been made. If any record includes information on more than one child, the parents of those children have the right to inspect and review only the information about their child or to be informed of that specific information. Upon request, the school district will give a parent or eligible student a copy of the progress records and a copy of the behavioral records. Upon request, the school district will give the parent or eligible student a list of the types and locations of education records collected, maintained, or used by the district for special education. The school district will respond to reasonable requests for explanations and interpretations of the records. A representative of the parent may inspect and review the records. • The right to request the amendment of the student's education records that the parent or eligible student believes is inaccurate or misleading. Parents or eligible students may ask [Name of] School District to amend a record that they believe is inaccurate or misleading. They should write the school principal; clearly identify the part of the record they want changed and specify why it is inaccurate or misleading. If the district decides not to amend the record, the district will notify the parent or eligible student of the decision and the right to a hearing regarding the request for amendment. Additional information regarding the hearing procedures will be provided to the parent or eligible student when notified of the right to a hearing. • The right to consent to disclosures of personally identifiable information in the student's education records, except to the extent that federal and state law authorize disclosure without consent. The exceptions are stated in 34 CFR 99.31, Family Educational Rights and Privacy Act regulations; Sec. 9528, PL107-110, No Child Left Behind Act of 2001; and section 118.125(2)(a) to (m) and sub. (2m), Wisconsin Statutes. One exception that permits disclosure without consent is disclosures to school officials with legitimate educational interests. A school official is a person employed by the district as an administrator, supervisor, instructor, or support staff member (including health or medical staff and law enforcement unit personnel); a person serving on the school board; a person or company with whom the district has contracted to perform a special task (such as an attorney, auditor, medical consultant, or therapist); or a parent or student serving on an official committee, such as a disciplinary or grievance committee, or assisting another school official in performing his or her tasks. 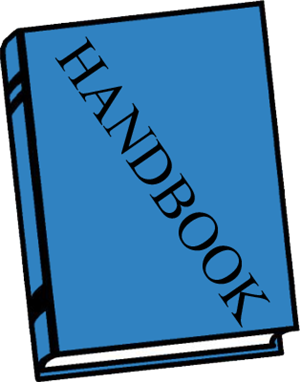 A school official has a legitimate educational interest if the official needs to review an education record in order to fulfill his or her professional responsibility. Upon request, the district discloses education records without consent to officials of another school district in which a student seeks or intends to enroll. Also, the district discloses "directory data" without consent, unless the parent notifies the district that it may not be released without prior parental consent. Wow! We have completed our first semester of school. I am amazed at how quickly this school year has gone by. Thank you for taking an active role in your child’s education! During our second semester of school, we will see your child grow, mature and develop in many of their educational skills. Learning truly peaks during the next few months. It is very exciting! We appreciate your support with maintaining consistent bedtimes, providing healthy food, and helping your child with homework and studying. We are also thankful for your continued communication with Jackson staff. It is that time of year again as we move into the second semester to update any address and phone number information in the office. We are striving to keep all parent/ guardian information up to date in the office. As we have school related closings and announcements, it is very important for your family information to be accurate. The Infinite Campus phone system will notify families of any emergencies and weather-related closings. WCLO 1230 AM broadcasts all information concerning delays and school closings due to weather. Students should not arrive prior to the delayed starting time. This means that if there is a two-hour delay, elementary schools begin at 10:20 am and the middle and high schools begin at 10:00 am. If school is delayed, breakfast will not be served at school. Students who must be absent for weather related reasons may be excused if the parent calls in. I would like to encourage all parents, guardians and friends to join our Jackson Parent Teacher Association (PTA). We are excited to have our PTA sponsor fun family events for our school, as well as sponsoring many of our fieldtrips for our students throughout the school year. PTA will be hosting a Valentine’s Parent Child Dance for Jackson students on Friday, February 8th from 5:00 pm – 7:00 pm. Scoopie Night is scheduled for Wednesday, February 27th from 4pm – 8pm at the West Side Culver’s located on Court Street in Janesville, WI. Jackson Elementary School receives 10% of all sales from Culver’s. The money received goes towards field trip expenses, PBIS awards, playground equipment, technology equipment and other student expenses throughout the school year. We have a few dates of No School that I want to make sure that families know about. Elementary School students have No School on Friday, March 1st this is a Teacher Work Day. Also, No School on Wednesday, March 6th, Thursday, March 7th, and Friday, March 8th. We have Parent Teacher Conferences on Wednesday, March 6th and Thursday, March 7th. We are maintaining our conference schedule from our fall conferences. Parents/guardians will receive a note sharing the date and time of your child’s conference. We are striving for 100% participation with this PT conference. We have a lot of wonderful growth to share with you regarding your child’s progress. Report Cards will go home at this time. As always, please feel free to contact me with any questions, compliments, concerns that you would like me to address. Have a wonderful February and March! Welcome to a new year! A New Year means new books in the library! We have many new titles for our students to enjoy. Please teach your child to be responsible with his/her library books! This means to enjoy reading it, but to also make sure it gets back to school safely and on time. We have a Book Fair coming soon! The book fair will arrive on February 27th, and it will be set up for conferences the following week. The book fair will be open Wednesday, March 6 from 4:00 -7:30 pm and then on Thursday, March 7th from 9:00 am to 6:00 pm. Thanks in advance for supporting the Scholastic Book Fair. Your purchases help supports our school and allows me to purchase books, STEAM activities, robotics, etc. for our library that our students can enjoy and learn from. STEAM activities that have been happening in the LMC. Our 5th grade students STEAM activities extended to the art room. Students in 5th used their collaboration skills and drawing skills to make create a 3D sculpture. The drawing was converted to a 3D file and then printed on our 3D printer. Students in K-5 used their coding skills to program our Dash and Dot robots. They used Blocky programming to write the code. The younger grades programmed them using a series of sequencing challenge cards, while the upper grades created their own blocks of code. Students have also used the Osmo app to sharpen their math and reading skills. Our 3-5 students will be learning some multimedia skills which will include taking pictures and making short videos. The 3-5 students will also be taking a technology survey in February. We partner with BrightBytes, an educational research organization, in order to learn more about our students’ school and home technology use. Skyping February I have been working on getting free author skypes for this month. Our 4th grade students skyped with the author, Janet Johnson on February 1st. She wrote the series PBJ Society. On February 5th, the 5th grade students will skype with author Carole Dagg. She wrote Sweet Home Alaska, a historical fiction book. I am trying to connect with more authors for our other grade levels. This month, some students will be doing a Mystery Number Skype with classrooms across our district. This is a fun activity and a way for our students to talk to other students in other buildings via Skype or Google Hangouts. The PTA is sponsoring a Spring Date Night Dance, this will be a date night for your child(ren) and a special adult(s) who makes a difference in their life. Jose Massas will be the DJ to help us dance the night away. Refreshments will be served a and a photos will be taken to keep this memory special. You can dress up or come in casual attire. Upon request, the School District of Janesville is required to evaluate a child for eligibility for special education services. A request for evaluation is known as a referral. When the district receives a referral, the district will appoint an Individualized Education Program (IEP) team to determine if the child has a disability, and if the child needs special education services. The district locates, identifies, and evaluates all children with disabilities who are enrolled by their parents in private (including religious) schools, elementary schools and secondary schools located in the school district. A physician, nurse, psychologist, social worker, or administrator of a social agency who reasonably believes a child brought to him or her for services is a child with a disability has a legal duty to refer the child, including a homeless child, to the school district in which the child resides. Before referring the child, the person making the referral must inform the child's parent that the referral will be made. Others, including parents, who reasonably believe a child is a child with a disability may also refer the child, including a homeless child, to the school district in which the child resides. Referrals must be in writing and include the reason why the person believes the child is a child with a disability. A referral may be made by contacting Ms. Kimberli Peerenboom, Director of Pupil Services, School District of Janesville, at 608-743-5061, or by writing her at 527 S. Franklin Street, Janesville, WI, 53548. Open Enrollment or Public-School Choice If during the school year, you move outside the School District of Janesville and you wish to remain at your current school please contact the Open Enrollment Specialist at 743-5152 and request a tuition waiver form within two weeks of your move. This will allow you to be eligible to attend your current school for the remainder of the current year tuition free. To continue attending the School District of Janesville after the 2018-2019 school year, you will also need to complete an open enrollment application. Application instructions are provided to the School District of Janesville by the Department of Public Instruction (DPI) and should be available by late January 2019. This year applications will be accepted February 4 – April 30, 2019. The School District of Janesville is required to locate, identify, and evaluate all children, with disabilities, including children with disabilities attending private schools in the school district, and homeless children. The process of locating, identifying, and evaluating children with disabilities is known as child find. This agency conducts the following child find activities each year in the form of Early Childhood and Speech and Language Developmental Screenings. This notice informs parents of the records the school district will develop and maintain as part of its child find activities. This notice also informs parents of their rights regarding any records developed. The school district gathers personally identifiable information on any child who participates in child find activities. Parents, teachers, and other professionals provide information to the school related to the child’s academic performance, behavior, and health. This information is used to determine whether the child needs special education services. Personally, identifiable information directly related to a child and maintained by the school is a pupil record. Pupil records include records maintained in any way including, but not limited to, computer storage media, video and audiotape, film, microfilm, and microfiche. Records maintained for personal use by a teacher and not available to others and records available only to persons involved in the psychological treatment of a child are not pupil records. • "Pupil physical health records" include basic health information about a pupil, including the pupil's immunization records, an emergency medical card, a log of first aid and medicine administered to the pupil, an athletic permit card, a record concerning the pupil's ability to participate in an education program, any required lead screening records, the results of any routine screening test, such as for hearing, vision or scoliosis, and any follow-up to the test, and any other basic health information, as determined by the state superintendent. Any pupil record relating to a pupil's physical health that is not a pupil physical health record is treated as a patient health care record under sections 146.81 to 146.84, Wisconsin Statutes. Any pupil record concerning HIV testing is treated as provided under section 252.15, Wisconsin Statutes. Spring is in the air, and so is learning and fun here at Jackson School! April and May will be very busy months for our students, so please make sure that you take a minute to write down all of the important dates because I don’t want you to miss out on anything! Our calendar can be found on our website under the “Calendar” tab along the top, but I’d like to take this opportunity to mention a few upcoming events. April 24th will be our final Scoopie Night at the Center Avenue Culver’s. Jackson receives 20% of all restaurant and drive-thru sales from 4-8 p.m., so I hope your family will be able to attend. We also will be collecting Box Tops for Education. Please send these in with your child as we appreciate your support. April 25th is the day of our kindergarten parent orientation meeting. The kindergarten parent meeting will be held from 4:30 pm - 5:30 pm. Please note that there will be regular kindergarten for our current kindergarten students on this day. If you know of any children who will be 5 years old on or before September 1st, please let them know to enroll their child at the ESC on 527 S. Franklin St. as soon as possible so that we can add them to our list here at Jackson. Friday, May 31st will be our annual school picnic. An invitation will come home with your child soon, but please note that this is a pre-order event. If you want to eat school lunch with your child that day, you must pre-order. This is to ensure that we have enough food on hand for everyone who wants to eat. May 21st is the Annual 5th grade Track Meet and May 22nd is the Annual 4th grade Track Meet held at Monterey Stadium in Janesville. The make-up rain date is May 23rd. Jackson School will be participating in the afternoon sessions on both dates. We will keep you posted with more information, as we get closer to the dates. Our school parent survey results are in. Thank you for supporting our school. Jackson scores are excellent! I am delighted to share that our overall results are 4.45 / 5-point scale. The highest rated survey statement at a 4.58 / 5 was: “My family is treated with respect at this school.” We are honored to have your child at our school and truly appreciate all of you as parents and caregivers. Thank you for sharing the many positive comments complimenting many of our awesome Jackson staff members. Thank you for supporting your child and our school. As always, please feel free to contact your child’s teacher or me with any questions, compliments, or concerns. I always look forward to hearing from you! Thank you for supporting our Jackson Scholastic Book Fair during conferences. We had a successful sale, selling $3,000 worth of books. Our school, in return, gets 25% back in cash. This totals $774.00 that we can use to purchase more books or other things like STEAM (Science, Technology, Engineering, Art and Math) materials for our students to use. I ordered 3Doodler Pen sets to create 3D designs. We will have 12 of them! I also ordered Squishy Circuits and 3 different 4D Flashcards that we can use with our virtual reality viewers and apps. Our 4th grade students Skyped with Janet Johnson the author of The Last Great Adventure of the PB&J Society and our 5th grade students skyped with Carole Dagg author of Sweet Home Alaska. These were great opportunities for the students to meet a real author and to hear how important it is to read and write in school. Both authors gave great examples of how to persevere explaining that it took them many rewrites before they got their books published. Students in the primary grades have been exploring and coding using MeeperBots, Ozobots, Dash and Dot. The 3-5 students have been learning about Virtual Reality and Augmented Reality as well as coding robots. They are also showing their knowledge by learning academic concepts such as rounding through the program BrainPop and then creating a movie in BrainPop to demonstrate their learning.